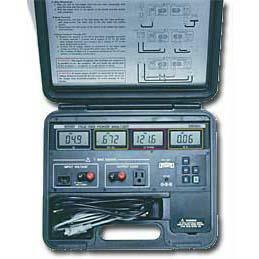 Extech 380801 Appliance Tester AC DC Power Analyzer, power quality analyzer and data logger features: Compact size, battery operated device for analyzing AC/DC power loads - with PC interface plus datalogging; Sampling (update) rate is 2.5 times/second. 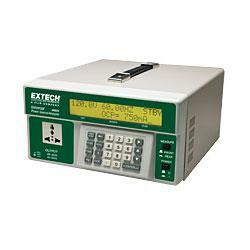 Compact Battery Operated Device for Analyzing AC/DC Power Loads - with RS-232 Interface and Windows Software. 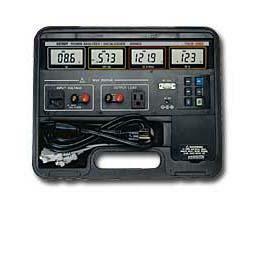 Four simultaneous LCD display of Watts, Power Factor or VA, Voltage or Hz, Amps. True RMS Voltage and current measurements of sine, square, triangular and distorted wave forms with a crest factor < 5.